Within our team we have the capabilities to provide electrical installations for homes and businesses throughout North Devon. Paul McGuire, whom is part of our team, has over 30 years experience as an electrician working in Domestic, Commercial and Industrial installations. From a socket to a complete new rewire ensuring that all electrical work meets the requirements of the electricity at work regulations 1989. BS7671 (IET Wiring Regulations) sets the standards for electrical installation in the UK and many other countries. 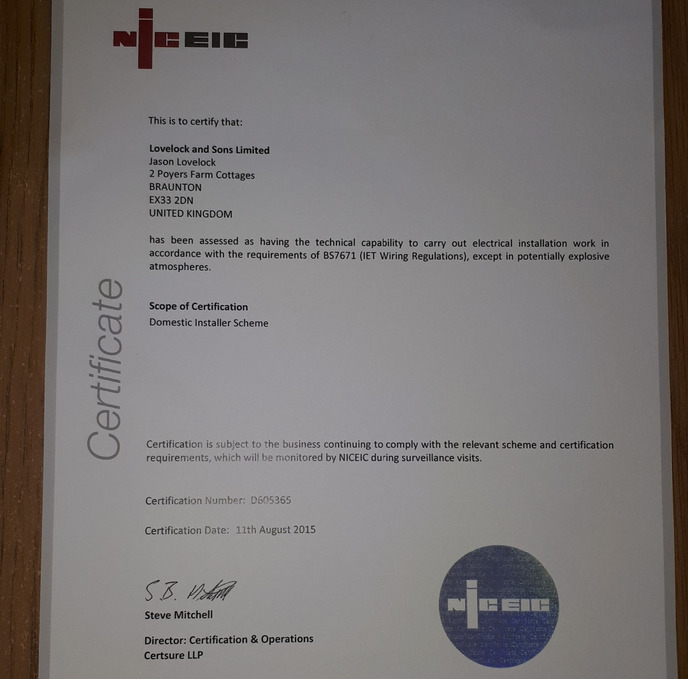 The IET co-publishes BS761 with the British Standards Institution (BSI) and is the authority on electrical installation.